Your therapist will use a length of normal thread to ensnare your grown out eyebrow hair in a loop, before extracting them with a quick pulling action. Due to its accuracy, threading is also a brilliant way to remove unwanted hair from the face, neck, hands, feet and tummy. Your therapist will use a length of normal thread to ensnare your grown out eyebrow hair in a loop, before extracting them with a quick pulling action. Experienced threading therapists work at a fairly rapid pace. Don't be surprised if you're in and out of the chair in under 15 minutes! Of course if you want your brows tinted before you have them threaded, or have particularly overgrown brows it might take a little longer. 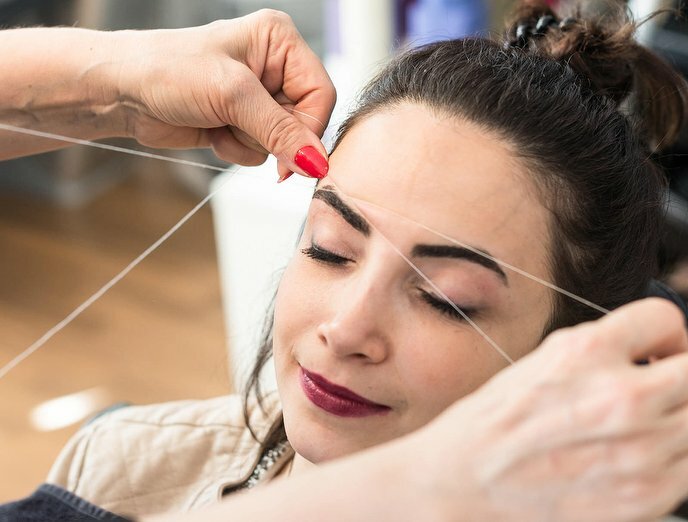 We recommend threading for anyone who suffers from sensitive skin. It's considered a fairly gentle technique, as only the hairs themselves are subject to any tension or force, not your skin. 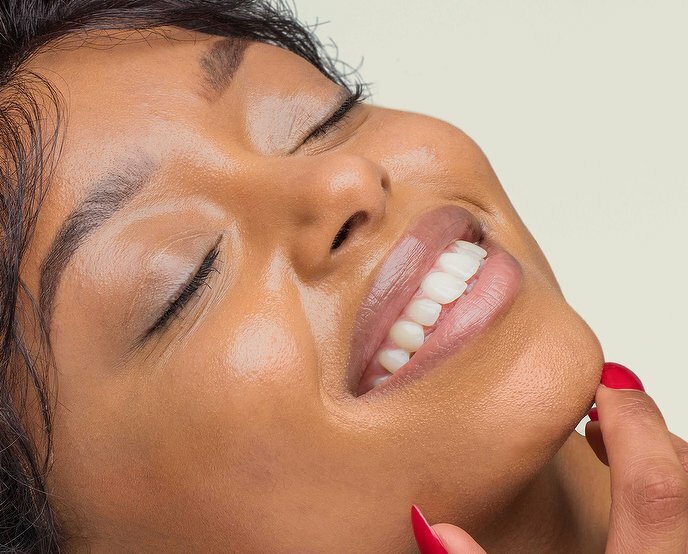 Unlike waxing the pain factor is minimal, and over in almost in instant - your skin may temporarily redden slightly, but this will subside within a few hours, resulting in smooth, perfectly arched brows that last for up to a month.